And when integrated with other technology treatments, the results are almost miraculous! 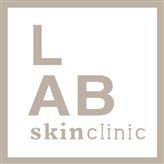 At LAB Skin Clinic Sydney, our aestheticians produce deep and effective skin needling treatments with little downtime but almost immediate visible improvements. Call 02 9909 3602 for a complimentary consultation or book online by clicking on the link below.